Winifred Conkling is the author of several non-fiction titles for young people. She lives in Northern Virginia and has an MFA in Writing for Children and Young Adults from Vermont College of the Fine Arts. Winifred Conkling has written a number of highly regarded non-fiction books for young people. These include SYLVIA AND AKI (covering a lesser-known story of educational segregation), PASSENGER ON THE PEARL (a story of slavery), RADIOACTIVE! (about female scientific pioneers), and VOTES FOR WOMEN (the story of female emancipation in the USA). 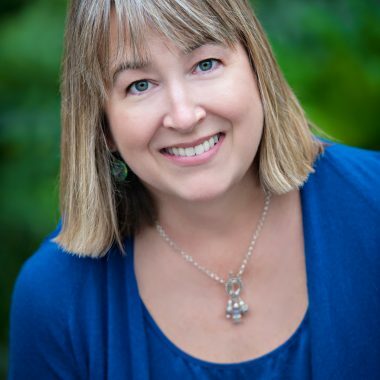 She has loved writing since third grade when she taught herself to type, and she went on to become a journalist and author of adult non-fiction books, rediscovering her love of children’s books when she became a mother. She has also taught reading to inmates at a maximum-security prison, run a marathon, spent the night in a dung hut with Samburu warriors, and volunteered with Mother Teresa’s Missionaries of Charity in Calcutta, India. She lives in Northern Virginia. A compelling story of how the scientific accomplishments of two brilliant female physicists developed from aiding medical advancement into the unthinkable. A fictionalized re-telling of an extraordinary story from the past. Two girls meet briefly in the very different world of 1940’s California – and a landmark lawsuit will change the education of children forever.